Multi talented, multi-published, Amy Corwin- signed: Vampire Protector, The Necklace, Bricklayer’s Helper, and I Bid One American. Laura Browning- signed copies of her TWRP romance, The Silkie’s Call. 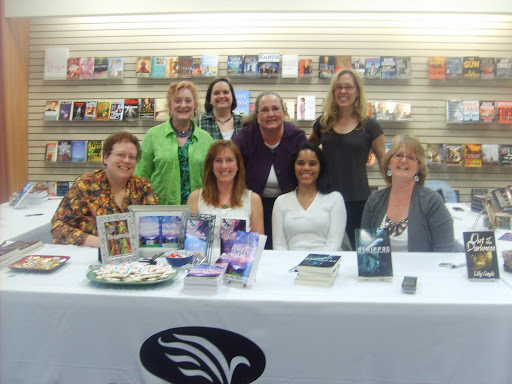 Katharine Ashe- Booklist’s “New Stars of Historical Fiction” signed her Avon release, Swept Away by a Kiss. Beth Williams writing as Emma Lang, signed Restless Heart and Wuthering Heights: The Wild and Wanton edition writing as Annabella Bloom. Carol A. Strickland signed her historical romance, Burgundy and Lies and her sci-fi fantasy romance, Touch of Danger. And Marcia Colette signed copies of her werewolf romance, Stripped. 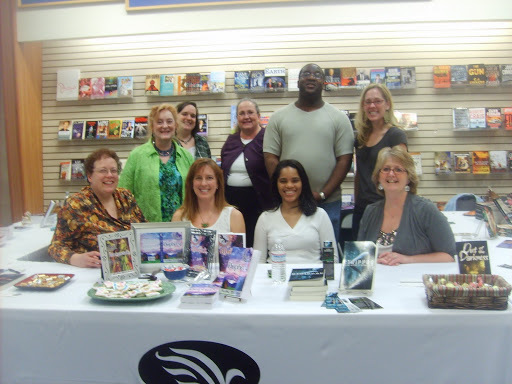 Had a great time and Victor- Northgate Books’ assitant manager, took excellent care of us. Thanks Victor! And thanks to everyone who came out today to support us. Shout out to Becky Booth. Thanks! What a beautiful enjoyable day! Thanks Lilly, Amy, Laura, Katherine, Heather, Beth, Carol,and Marcia. Kudos to all the authors!Lilly, you are amazing! Hugs! Had a great time too. Thanks for coming Becky.